How to watch The Chronicles of Narnia: The Voyage of the Dawn Treader (2010) on Netflix Netherlands! Sorry, The Chronicles of Narnia: The Voyage of the Dawn Treader is not available on Dutch Netflix, but you can unlock it right now in the Netherlands and start watching! With a few simple steps you can change your Netflix region to a country like New Zealand and start watching New Zealand Netflix, which includes The Chronicles of Narnia: The Voyage of the Dawn Treader. We'll keep checking Netflix Netherlands for The Chronicles of Narnia: The Voyage of the Dawn Treader, and this page will be updated with any changes. The Chronicles of Narnia: The Voyage of the Dawn Treader is not available in Netherlands BUT it can be unlocked and viewed! Young Lucy and Edmund Pevensie and their cousin, Eustace, take a trip back to Narnia and join noble King Caspian for an epic high-seas adventure. Siblings return to a magical world to help a friend. Dragons are bad, but enemies with no form are worse. There is a way to watch The Chronicles of Narnia: The Voyage of the Dawn Treader in the Netherlands, even though it isn't currently available on Netflix locally. What you need is a system that lets you change your Netflix country. With a few simple steps you can be watching The Chronicles of Narnia: The Voyage of the Dawn Treader and thousands of other titles! 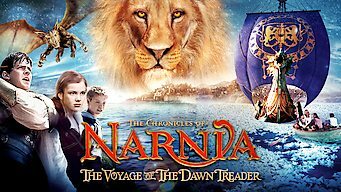 Watch "The Chronicles of Narnia: The Voyage of the Dawn Treader"